Freelance writer Abdelnour channels her addiction to food pilgrimages into this piquant mix of memoir, travelogue and culinary adventure. In 1981, at the height of the Lebanese civil war, Abdelnour s parents moved the family to Houston. Although born in the U.S., Abdelnour spent most of her first nine years in Beirut. In Houston and, later, at the University of California at Berkeley, she nursed an idealized image of Beirut, colored by her family s summer vacations to the city, as a place where she would no longer feel like a misfit and battle self-doubt. Then, in summer 2010, Abdelnour, now living in New York City, put a budding romance on hold to live for a year in the home her family had maintained in Beirut. Comparing and contrasting the sophisticated social scenes and bustling commerce in New York and Beirut, Abdelnour records the months spent there, frequently detouring into existential ponderings on the qualities that make a place feel comfortable. 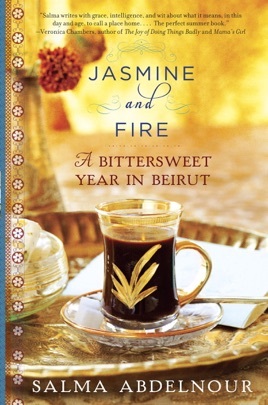 As she puts down roots and rediscovers her favorite traditional, Abdelnour analyzes Lebanon s ongoing political instability, the constant threat of war in the Middle East her stay coincided with political upheavals throughout the area the potential revival of the Arabic language, and jarring Western-style displays of wealth and gaiety masking religious tensions and escalating unemployment. In the end, she has written a multilayered portrait of a complex, chaotic, and contradictory city.